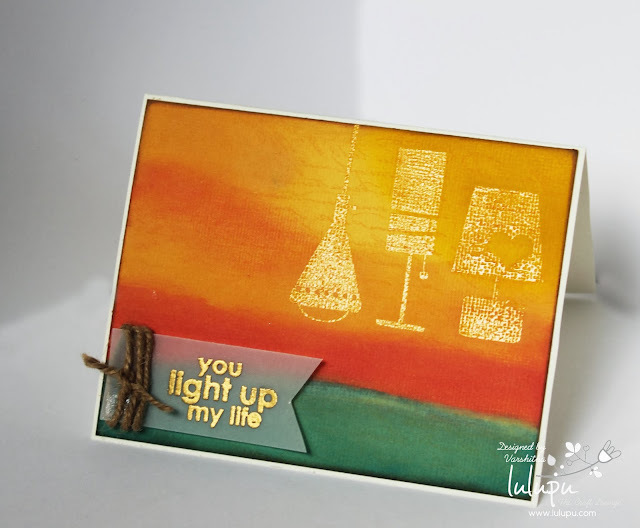 Lulupu - The Craft Lounge: CAS: You are my light! CAS: You are my light! Am Varshitha here with my Inspiration for Word Play Challenge. For this challenge I was literally confused on what to make, thanks for my supporting DT team members who helped me. As I am so much into handmade flowers off late it was tough to make a CAS card now. But finally I decided to put this stamp set to use and make a inked and stamped the card. So here is my card. 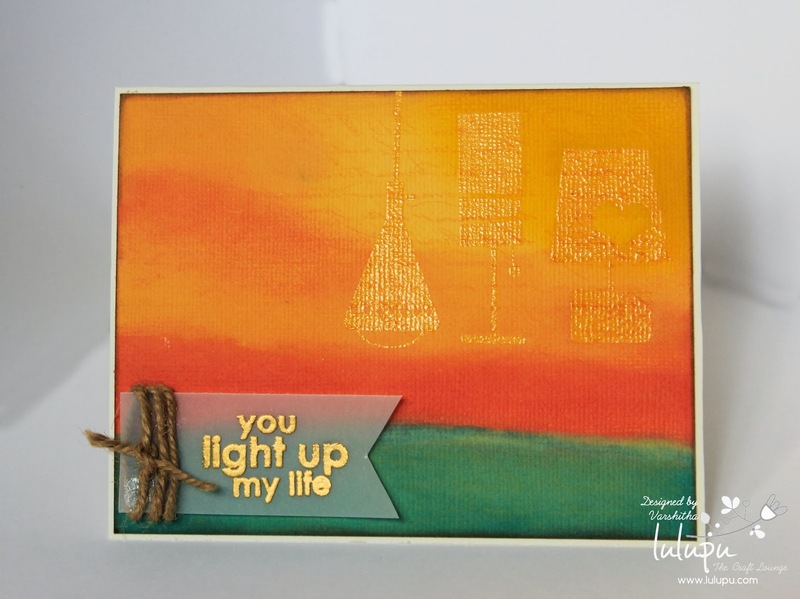 I choose this sentiment stamp "you light up my life" and worked on the card based on the sentiment. I picked a textured yellow CS as a base and the reason I choose this CS is to try out inking in Colored CS.Distress Inking in Colored card stock is so much fun! Would you believe the color I actually used is salty worn lipstick, dried marigold and Mustard Seeds! Yes when you are inking on colored cardstock you don't get the same color, like blue on yellow became green. I started with stamping the base card with a script stamp. Next I used my stamps with various lamps and clear heat embossed it. then comes the fun part of inking. I planned to abstract sunset coloring, not sure if i achieved it. what do you think? I used a waterbrush to help me blend the colours beautifully. Lastly i added my sentiment in golden heat embossed over a vellum sheet. Hope you liked my card. Waiting to see what you create for Word Play Challenge. 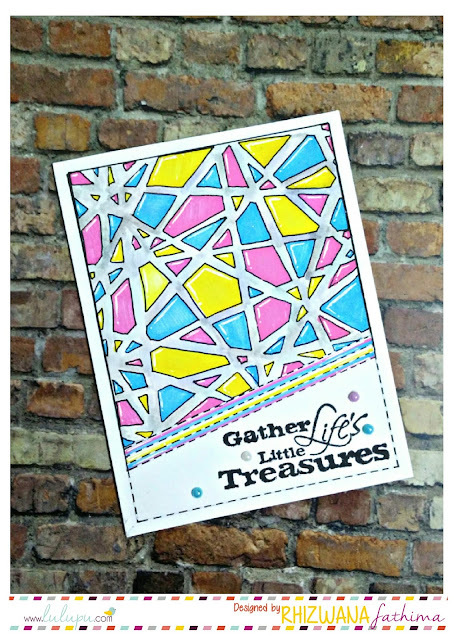 SureCut Deluxe Paper Trimmer 12"
Winners of Challenge #18- Load It Up! Challenge #19- Word play !! Loaded with Gardenias!! + A Tutorial.. Winners of Challenge #17 - Fancy Me! Lulupu Challenge #18 - Load it Up & Some News!